We recently installed a residential refrigerator in our 1336RE, what do we need to do to power the frig while traveling? I know that we have to be able to convert 12 volts dc to 120 volts ac. The most road time we do isn’t more than 6 to 7 hours? So maybe we might not need to do anything? Any ideas? Vaughan put a residential fridge in his and added an inverter to keep it operating. 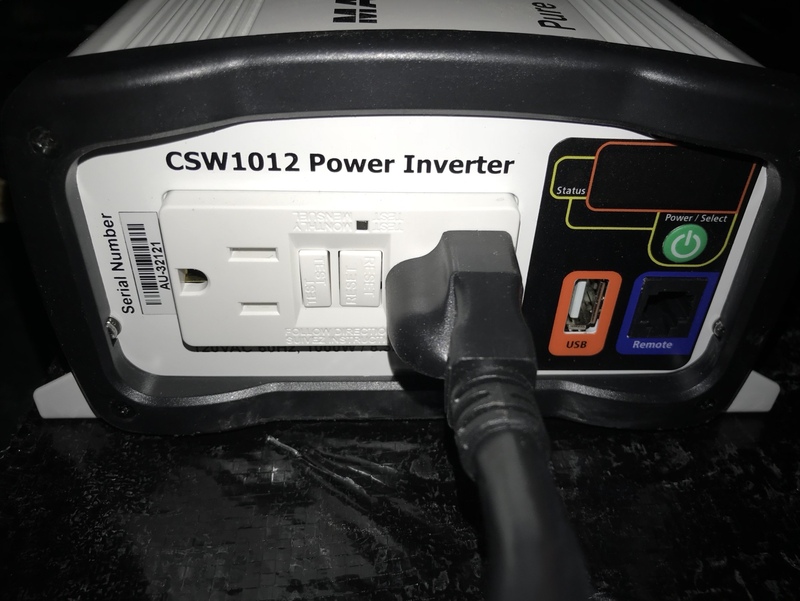 This is the inverter for my 2018 w residential. 2 Delco 12v deep cycle batteries. I just now added an inverter. Towed it for almost a year and a half after putting in the residential frig without one. If you're going 6-7 hours, it's up to you. We found that at 6-7 hours, the frig went no higher than 42 and the freezer no higher than 10. If it's 8 hours or more, then you definitely need to. What I decided to do was put in a 3k inverter and since I don't have a generator I tied the inverter into the Left side input of the generator transfer switch. That way I can power the whole left side slide if I want to for tv or anything else. I also added a third Group 31 Deep Cycle battery.